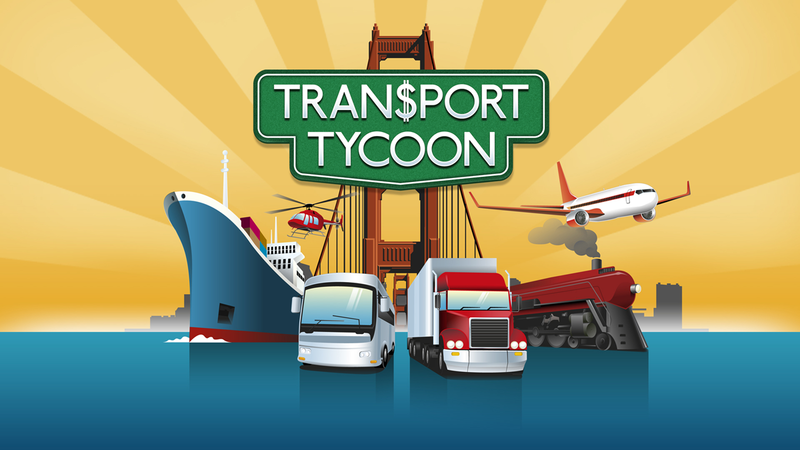 Take control of your own fledgling transport company, and use your engineering skill and business acumen to keep cargo and passengers moving – and keep the money rolling in! 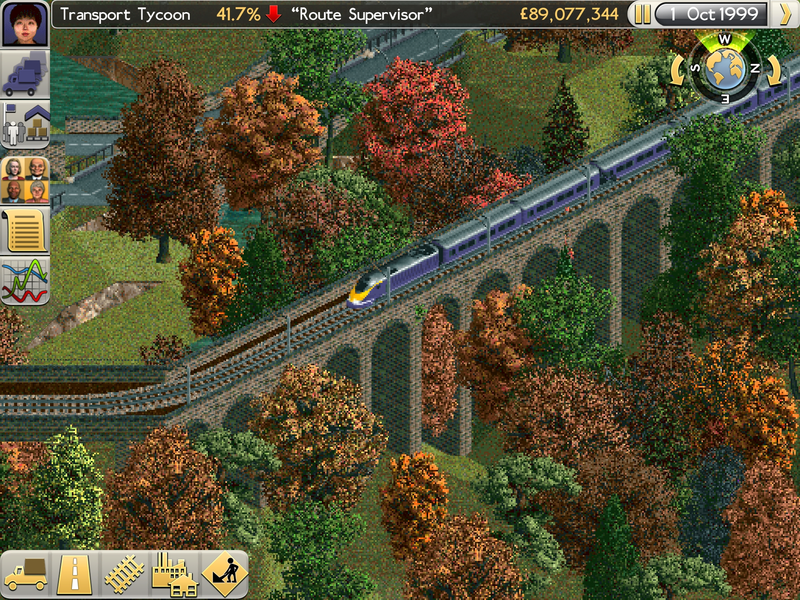 Transport Tycoon contains everything that made the original PC game an all-time classic, plus a whole host of brilliant new features – bigger, richer worlds, deeper simulation and a huge variety of land, sea and air vehicles. 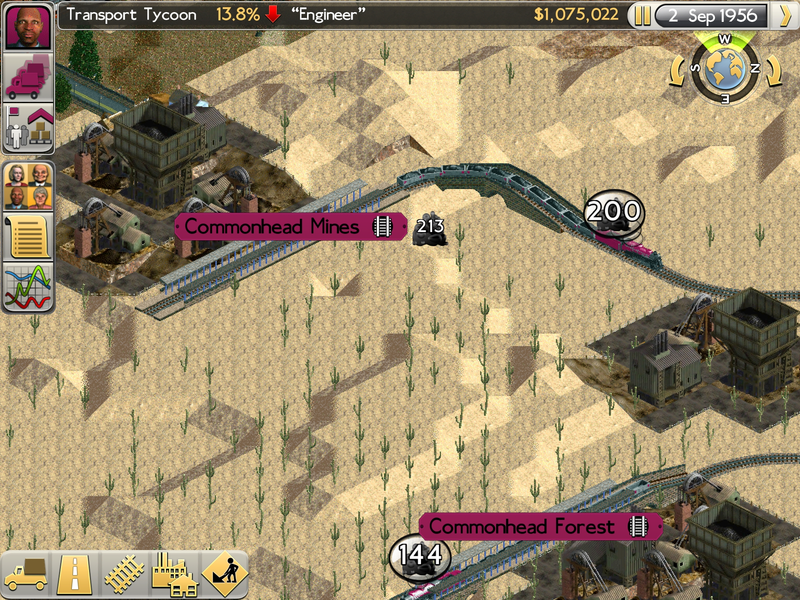 The intuitive new touch screen interface makes it easier than ever to build and maintain your transport network. 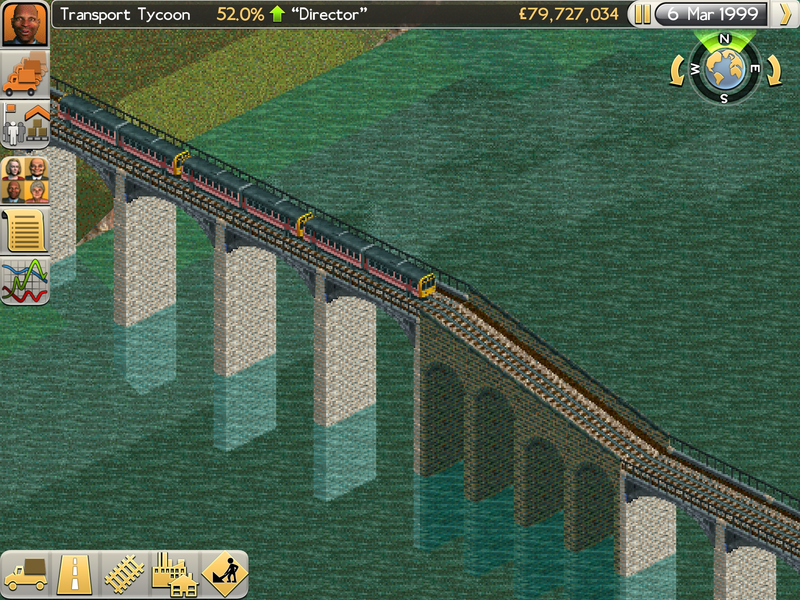 Whether you’re planning and constructing ambitious engineering projects, or simply exploring the intricately simulated workings of the game’s world, Transport Tycoon is your ticket to many hours of absorbing and rewarding entertainment. 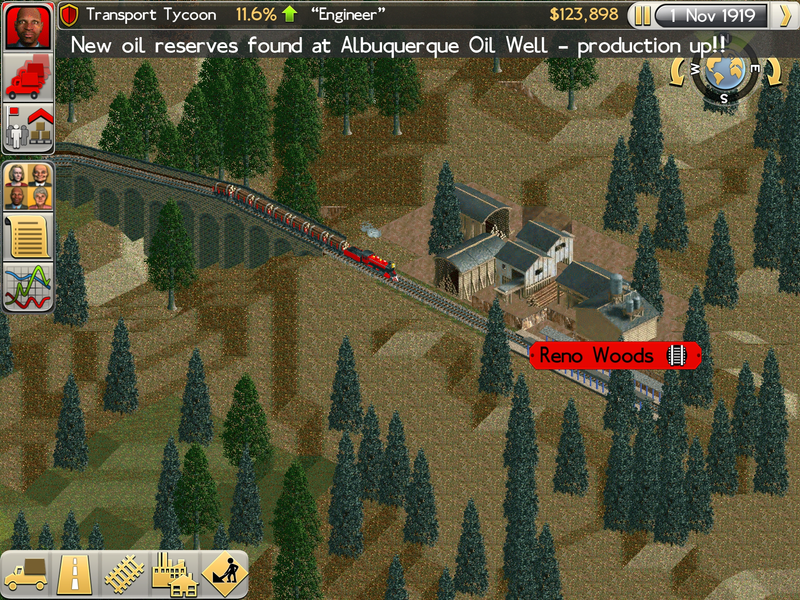 TRANSPORT TYCOON is the definitive version of the classic simulation game, created by 31x and Origin8 Technologies in collaboration with Chris Sawyer, the original designer and developer of the TRANSPORT TYCOON and ROLLERCOASTER TYCOON franchises. 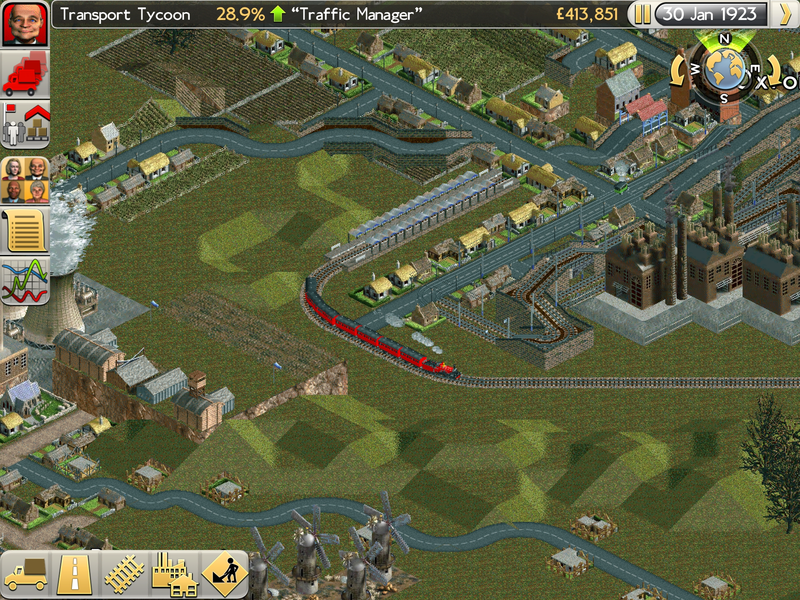 The original Transport Tycoon was released on PC in 1994. 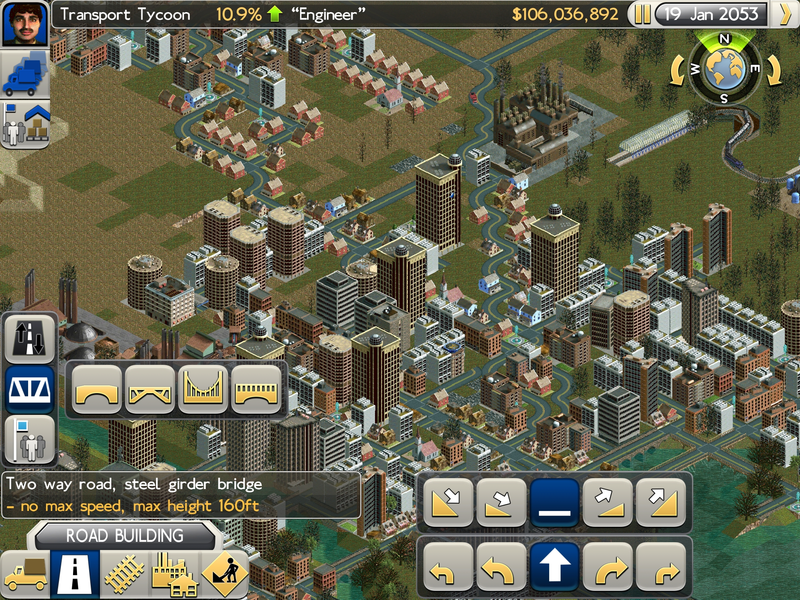 Developed by Chris Sawyer, and coded in X86 Assembly language, it was among the first in the relatively new 'tycoon' genre of games - simulations of business empires that the player founded, grew and took full control of. 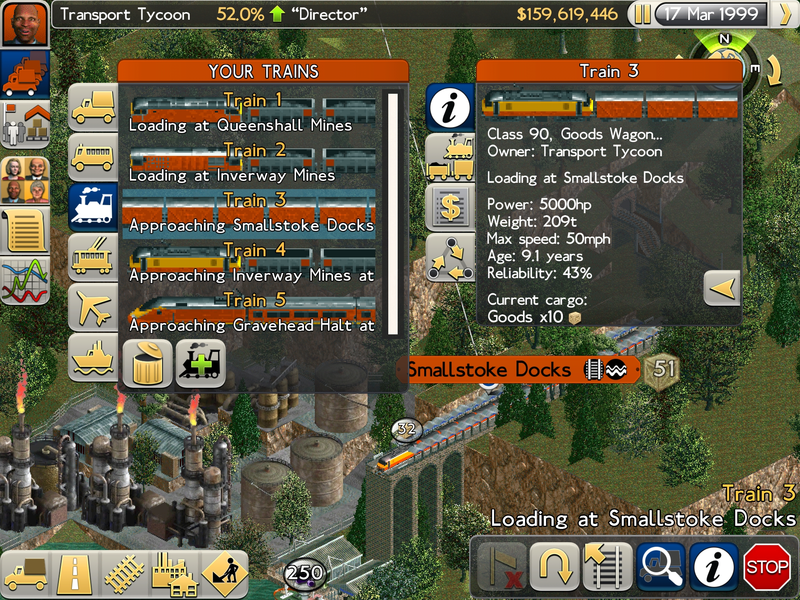 Transport Tycoon saw the player running their transport empire from 1930 to 2030, with rail, road, sea and air transport available to help the player's expansion of their business. 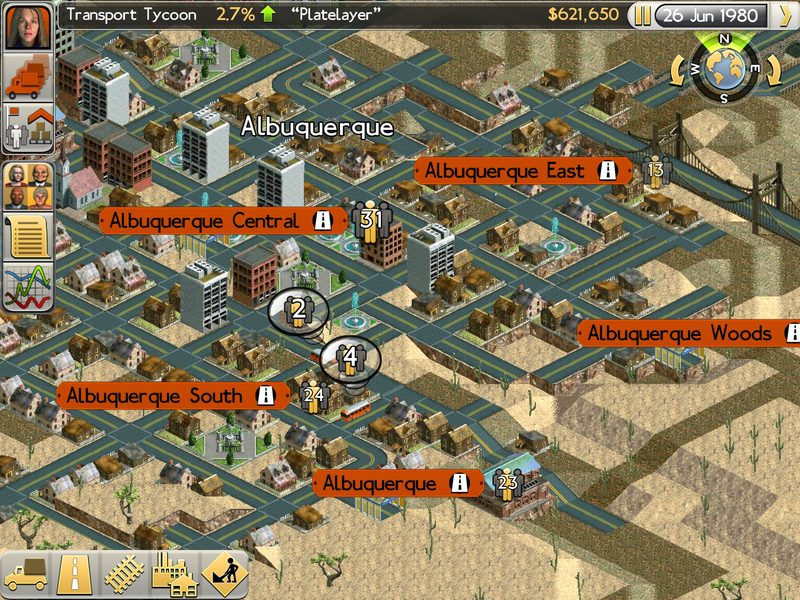 New technologies are introduced to the player at historically accurate times, and players could see first-hand how advancements changed the way their businesses were run. 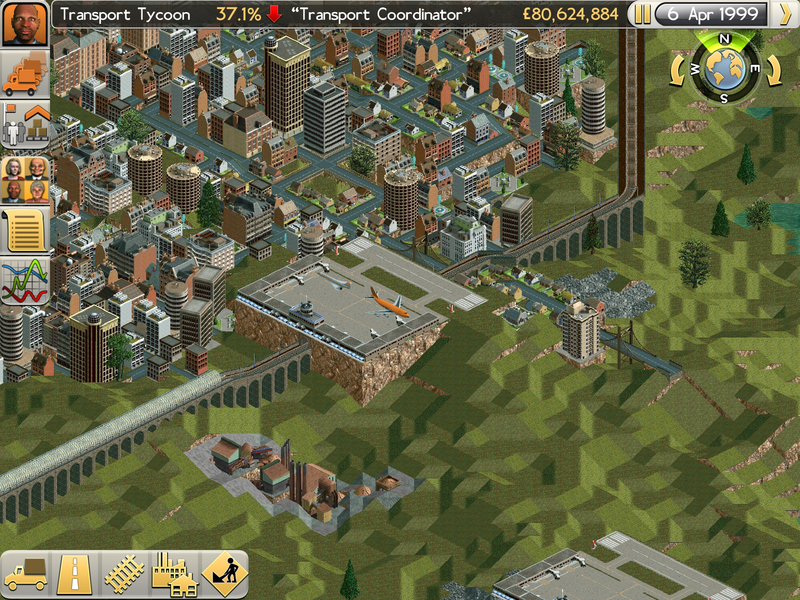 Transport Tycoon Deluxe was released in 1995, and featured new varieties of landscape and weather, new scenarios, more vehicles and allowed the player to run their company all the way from the year 1950 up to the year 2050. 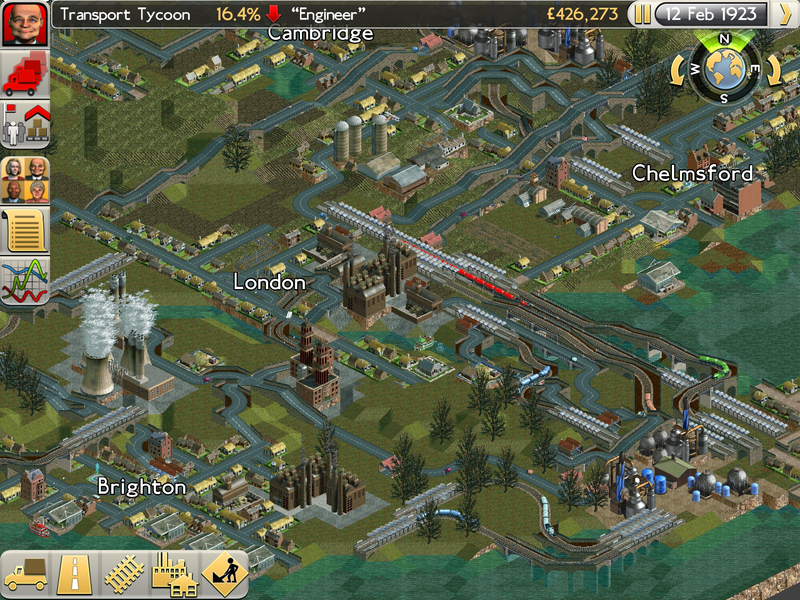 Chris then moved on to the Rollercoaster Tycoon series of games, released between 1999 and 2006. 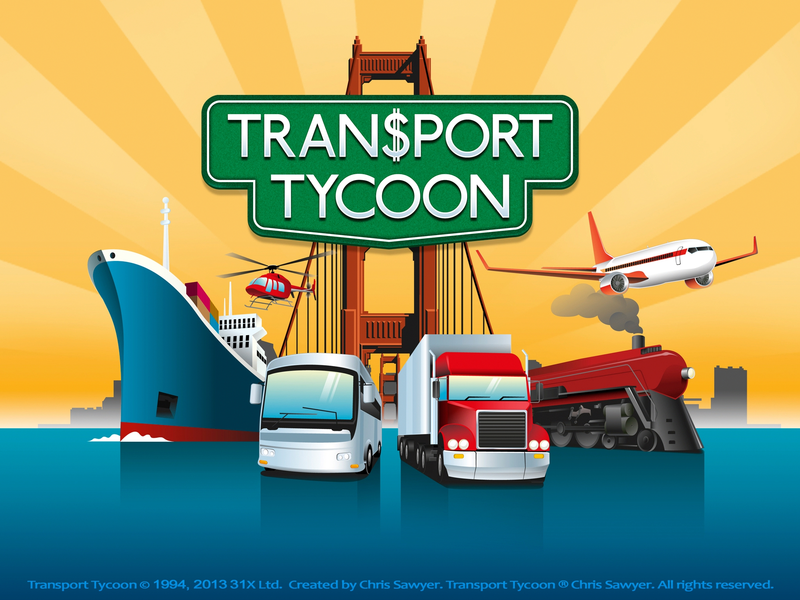 2013 marks the return of the classic Transport Tycoon franchise, and this new release surely marks the beginning of a new era! 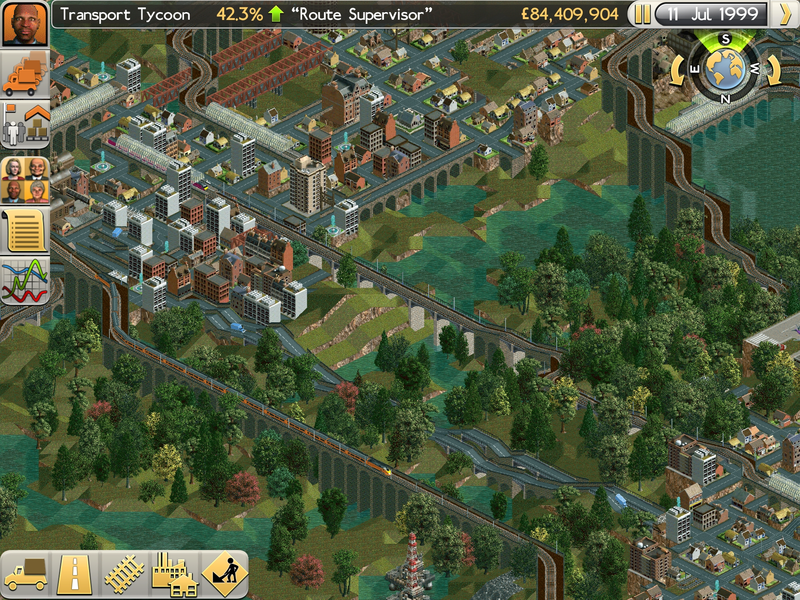 Deploy bus and tram networks to grow sleepy towns into bustling cities. 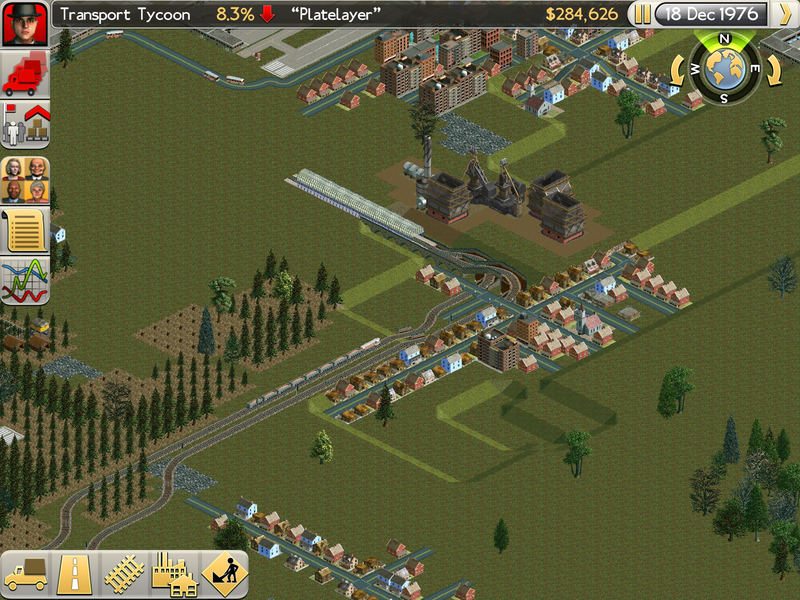 Lay cross-country railroads to keep industries supplied with precious resources. 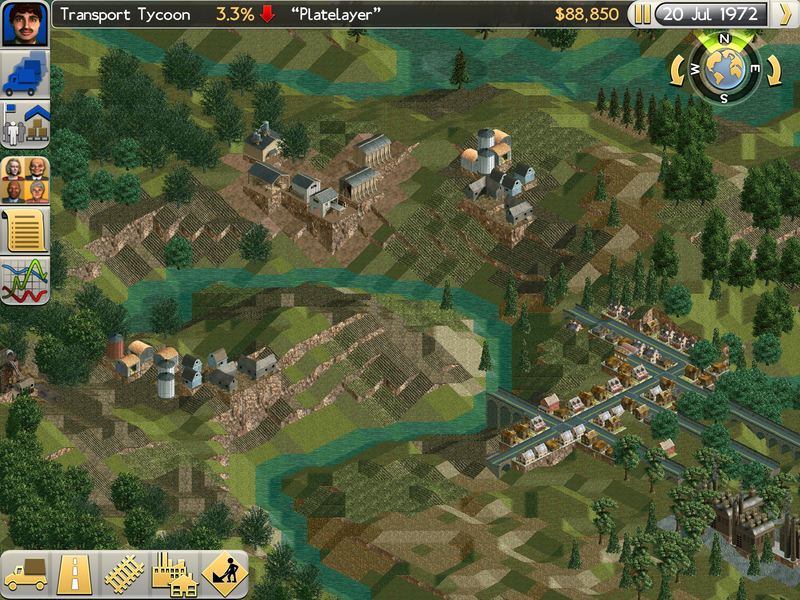 Construct massive bridges, dig tunnels and deploy earth-moving tools to carve a path through mountainous terrain. Build air and sea ports to transport cargo and passengers further and faster in an accelerating world. A wide range of beautiful landscapes including deserts, forests, mountains, valleys and islands. 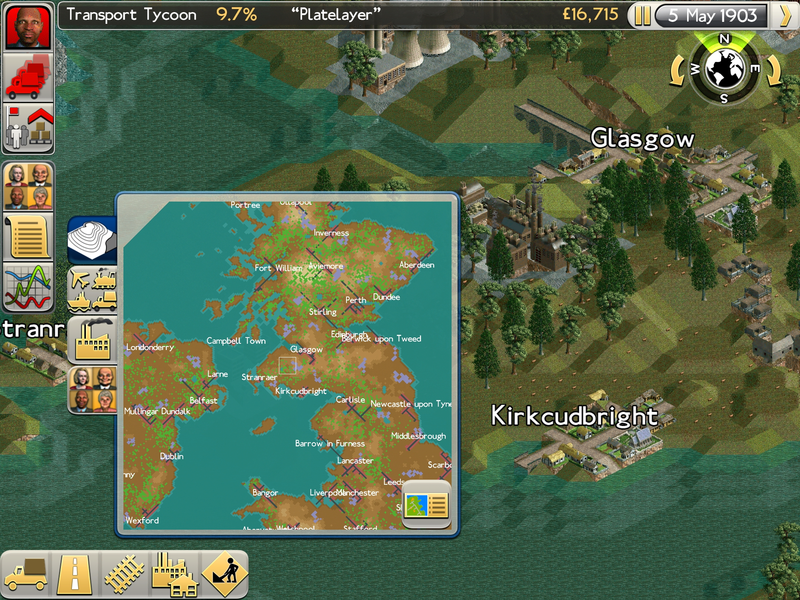 Several ‘real-world’ scenarios modelled on regions of North America and Europe at different periods in the 20th century. 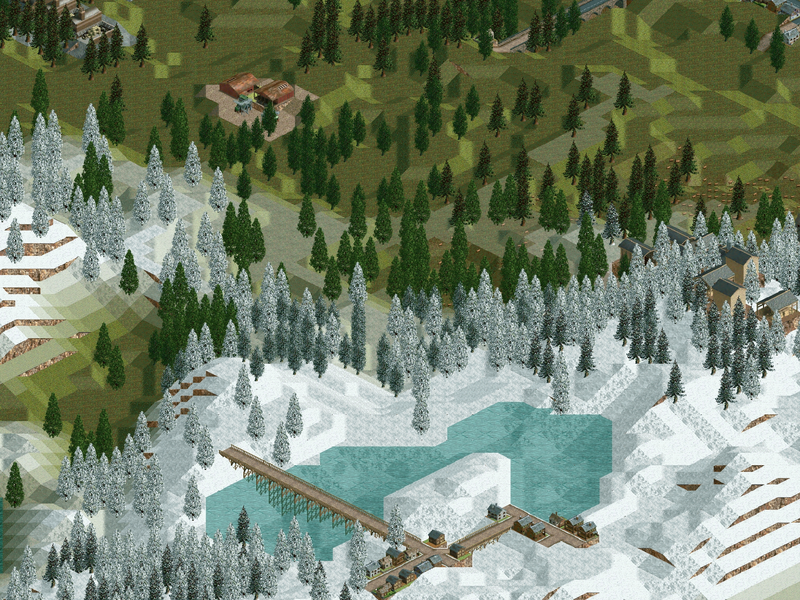 A richly simulated world with changing seasons and working industries, farms and towns. An all-new interface puts everything you need to explore and interact with the world at your fingertips. Over 150 vehicle types allowing you to choose the ideal transport solution for every situation. 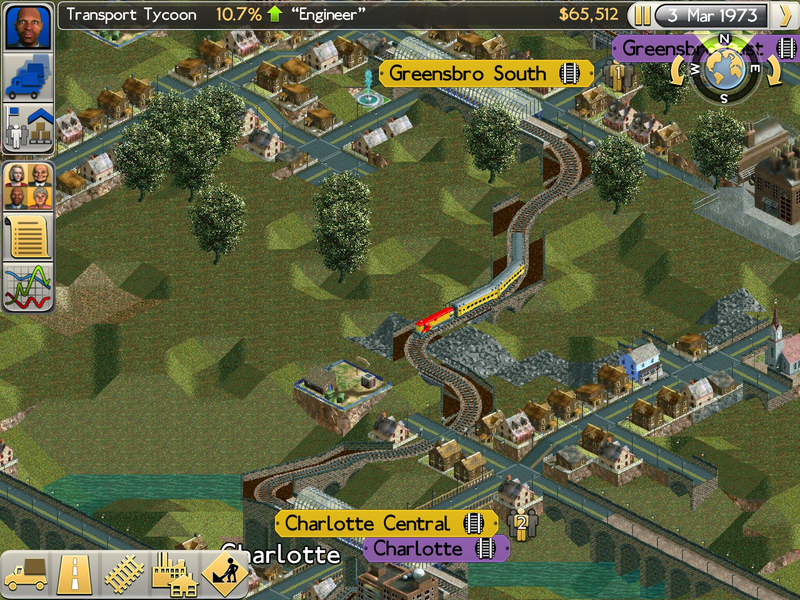 Use railway junctions and signals to allow multiple trains to share your rail routes. Modify vehicles and stations and assign new routes to adapt your business in real time. Upgrade and replace old vehicles as new and better ones are invented – all the way to supersonic jets and bullet trains! Play through 49 scenarios expertly designed to suit all skill levels and playing styles. Try to stay one step ahead of advanced A.I.-driven competitor’s companies. Track your progress and troubleshoot your business with in-depth company statistics. 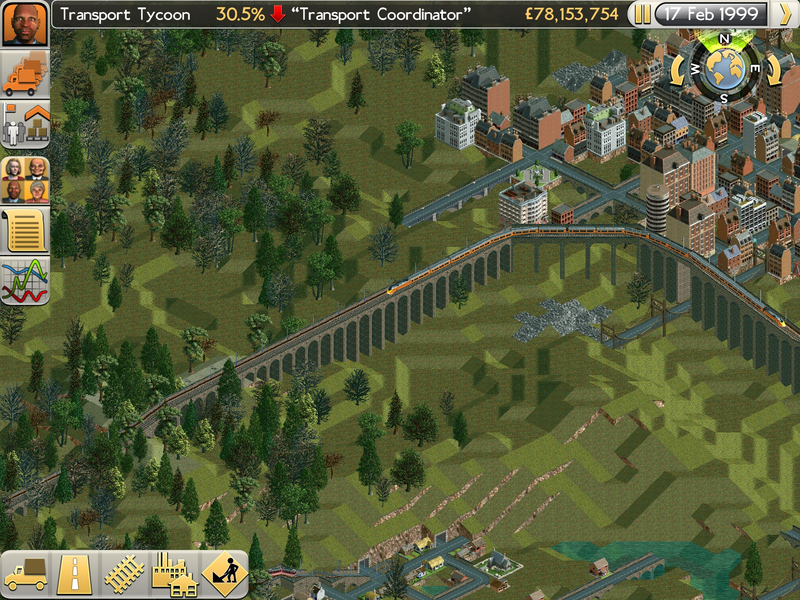 Prove yourself worthy of the title of Transport Tycoon and take on the life-consuming 100 Year Challenges! "Game Of The Week: 4.5 / 5 stars"
"A full-on, no-compromises re-imagining of the classic network planning sim that you loved in the 90s. I'm very impressed with it and I recommend it unreservedly to fans of the original. 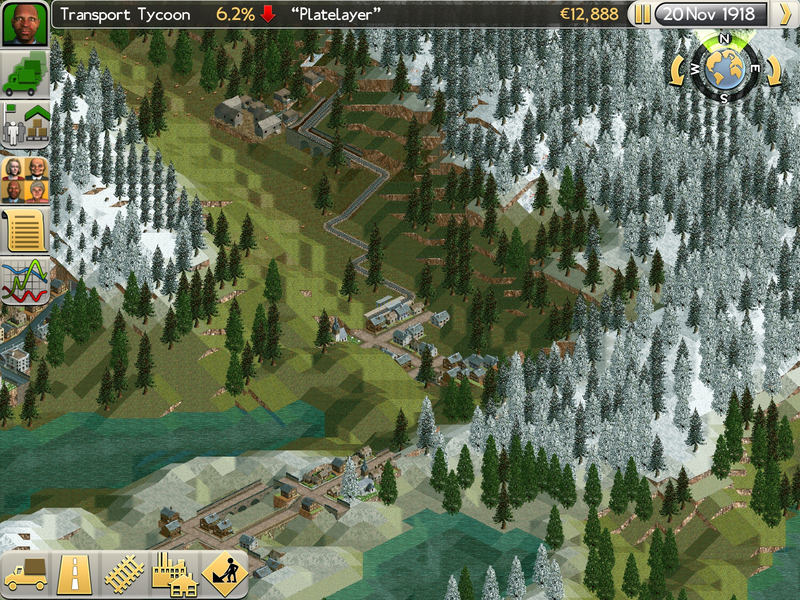 (4/5)"
"A massive, complex, unashamedly detailed game (...) a fine example of a sim done well. (8/10)"
"I see what all the fuss is about. 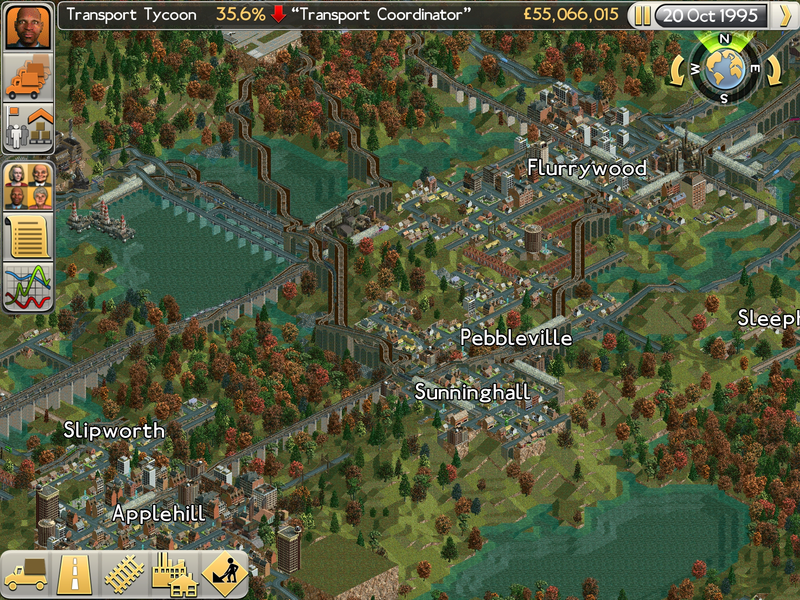 (4/5)"
Check out the scale of Transport Tycoon's scenario maps! transporttycoon.com.